These are just a few of the things I've published as of recent. In the face of climate change, Park City, Utah, has become a leader among ski towns. Is it enough? Overnight, it snowed a foot. After weeks of warming, the storm was a gift from the cold, white north to the eastern edge of the Wasatch. Snow fell in never-ending patterns: swirling helixes, angled sheets, waves catching a breath before cascading down in chaos. The day felt more like January than the beginning of March, and the weather report told us to savor it. The bootpack to the top of Ninety-Nine-90 at Park City Mountain Resort was swarming with skiers. A local land conservationist named Caitlin Willard slipped out the backcountry gate to find quieter pastures, and I followed her to a small, unexpected stash. Like most skiers in Park City, Utah, Willard, 34, is a transplant. While studying environmental sciences at the University of Massachusetts Amherst, she saw a story in a magazine that listed the top ski towns in North America. She picked Park City mostly because it wasn't in Colorado or California, but also because she had an affinity for park skiing (she admitted to wearing tall-Ts and described herself as a "born-again backcountry skier"). 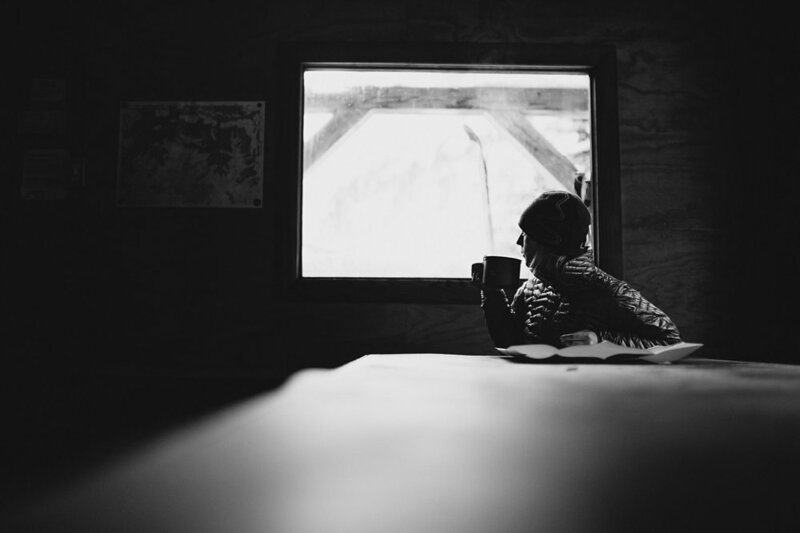 She moved in 2006, found a shared room for $400 a month, and balanced odd jobs with skiing. 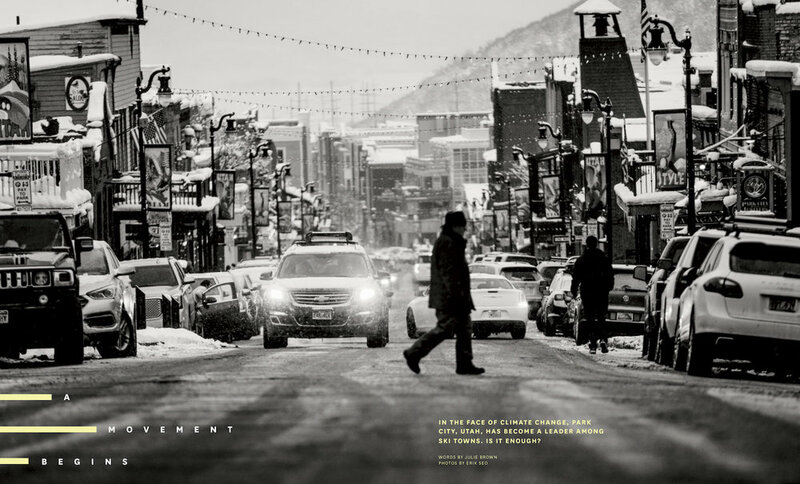 In the years that followed, rent doubled, Willard started a 9-to-5 job at a land trust, and Park City became plagued with issues that are universal to ski towns across the West: It is hard to make a living; there is no affordable housing; real estate development is incessant; and climate change is slowly, but consistently, melting the snowpack. One reason that Willard stayed--Park City has decided to do something about the latter. Last year, city officials pledged to reduce Park City's carbon footprint to zero by 2032. An accelerated five-year deadline for city operations to cut out carbon ranks as one of the most ambitious climate change goals in the country. City leaders are still finishing the plan, which will include new solar and wind farms and a renewable energy grid for residences, businesses, and Deer Valley and Park City ski areas. Electric city buses and a new transit plan will take combustion engines off the road. Thousands of acres of undeveloped land--Willard's expertise--will be preserved, curbing development and pulling carbon out of the atmosphere. Willard shared some details of the emerging plan and her contribution to preserve open space as we navigated our way to the top of a light-and-dry powder field. She wiggled turns down a sheltered, untracked slope, and I shadowed her line. At the bottom, we put on our skins for another run. 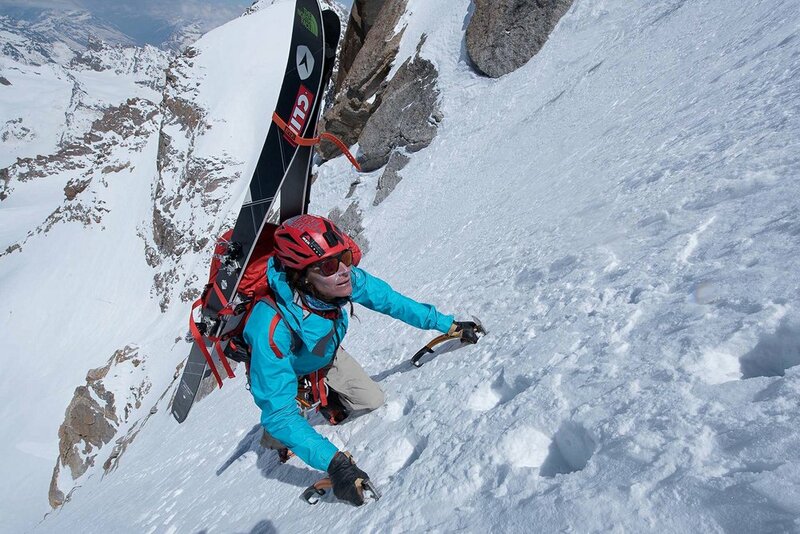 One of the most accomplished ski mountaineers on the planet with a well-documented knack for suffering, Hilaree O'Neill also likes to ski powder. And last winter--when the West was pummeled by atmospheric rivers of historical significance--she skied a lot of powder. POWDER Magazine's photography features very few women. We can do better.